This hybrid selection of chinquapin combines the dwarf stature of the chinquapin bush with the more durable and resilient Chinese chestnut. 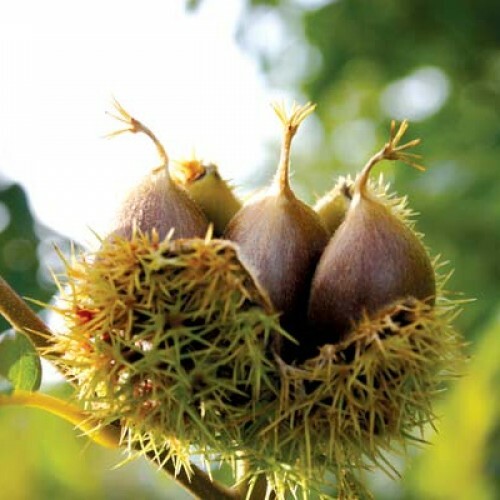 This strain creates an early ripening chestnut with nuts that fall free of the burr. 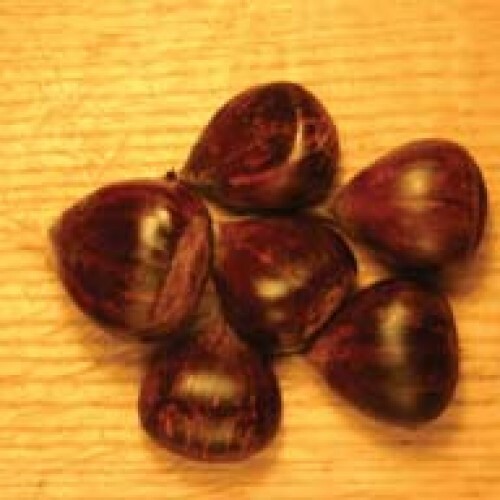 The small nuts have a good flavor and texture like the chinquapin but with a nut about triple the size. Our original tree had died of blight but we currently have two other mature plants that show no symptoms. The over all structure of the tree tends to be a broad mound shape maturing at about 15-20 ft. with an equal width. This is probably the most dwarf tree type chestnut we have. 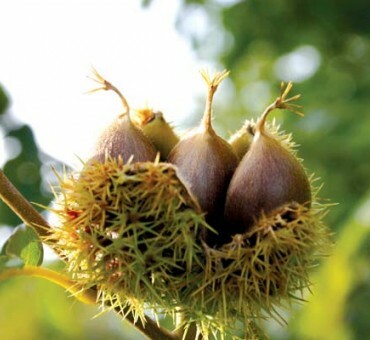 Since it is outcrossed with other chestnuts, it is likely that the yields are better as well as the structure of the tree is less twiggy. We are currently using the strain called Early Conneticut. No shipment to CA, OR, WA. Easy to grow. Pruning is best done when young to train as a open vase system. The hybrids tend towards a broad spreading crab apple type tree so thin to create a more uniform crown with good light penetration. Said to be highly productive this way.